This workload uses FFmpeg to apply video enhancement filters to a high bitrate H.264 video and then encode it to a format suitable for distribution. The FFmpeg binary used is custom-built by Futuremark using a development version of the source available from the project's code repository. The test applies a deshaking filter to a source video at 3,840 x 2160 (4K UHD) before scaling down and outputting at 1,920 x 1,080 (1080p). It's worth noting that FFmpeg does not benefit from more than two CPU cores. 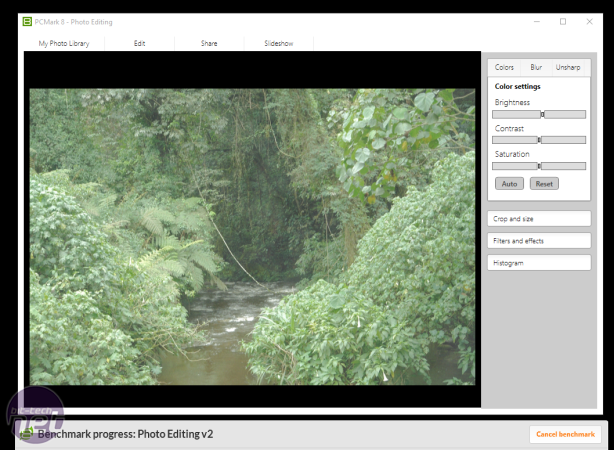 This workload involves making a series of adjustments to a set of photographs using ImageMagik - an open-source image processing library - to adjust brightness, contrast, saturation and gamma. When a favourable balance is found, the changes are then applied to the rest of the images in the set. TIFF files up to 67MB in size are used. The Formula has been a high-end favourite for a decade - how does the 9th version fare? We put MSI's mini-ITX Z270 offering through its paces.